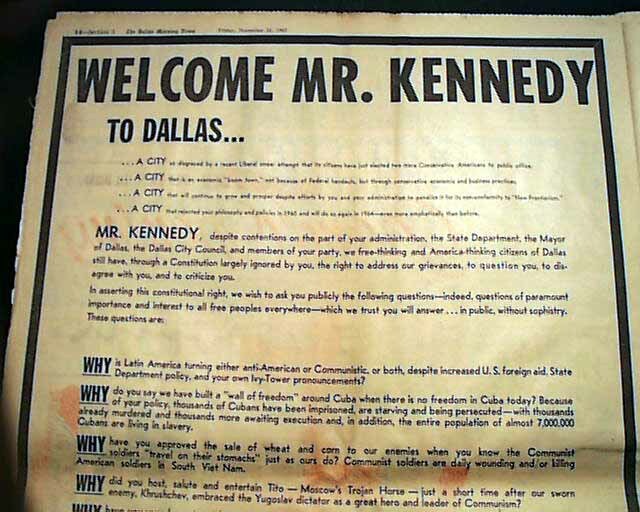 THE DALLAS MORNING NEWS, Texas, Nov. 22, 1963 Of the many newspapers saved by people on the assassination of President Kennedy, this would be one not logically saved. 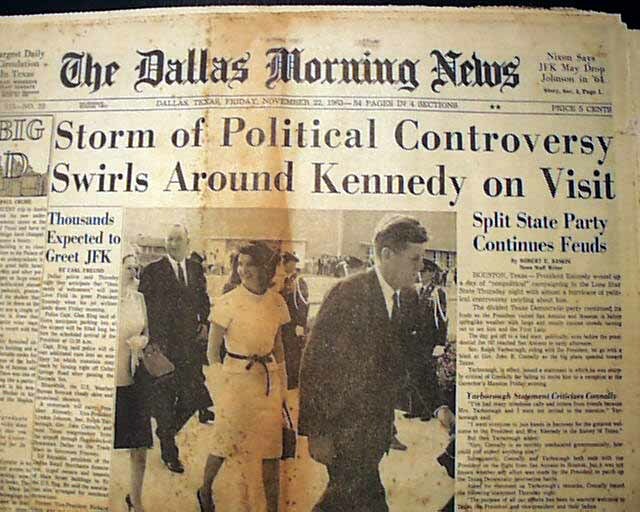 Although it is from the day of his death and from the city where he was shot and died, being a morning newspaper it reports his arrival in Texas and his ensuing visit to Dallas with the headline reading: "Storm of Political Controversy Swirls Around Kennedy on Visit" (with *photo). 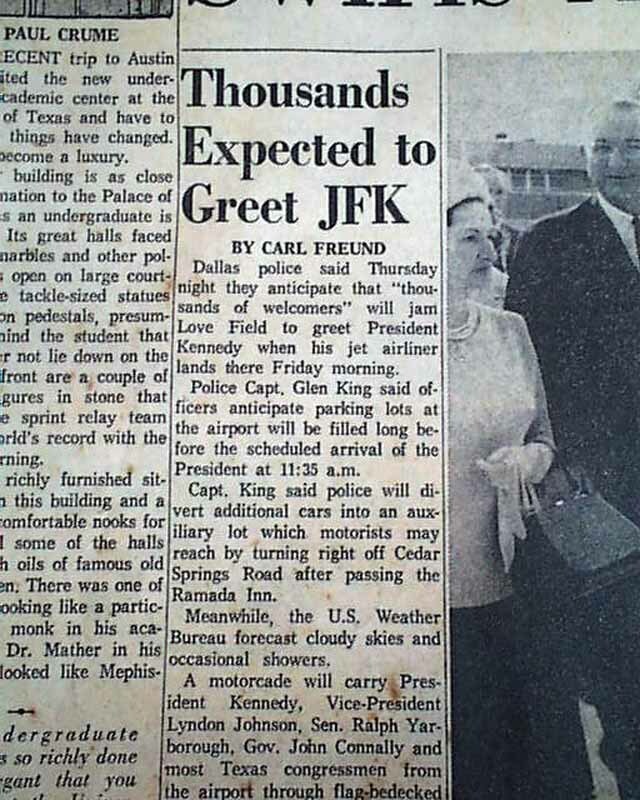 There is no report concerning the assassination as it would not happen until later in the day. 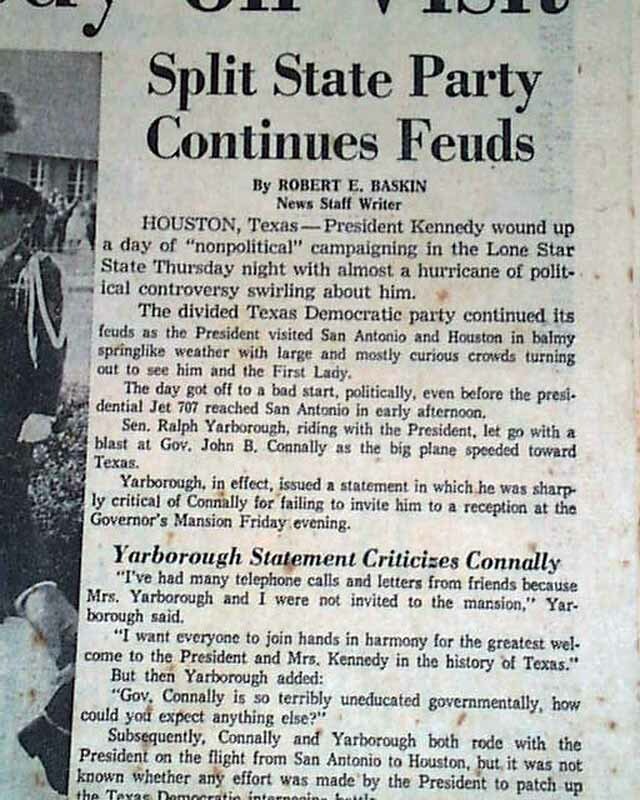 There is more coverage on inside pages concerning his visit to Houston and San Antonio, with photos. 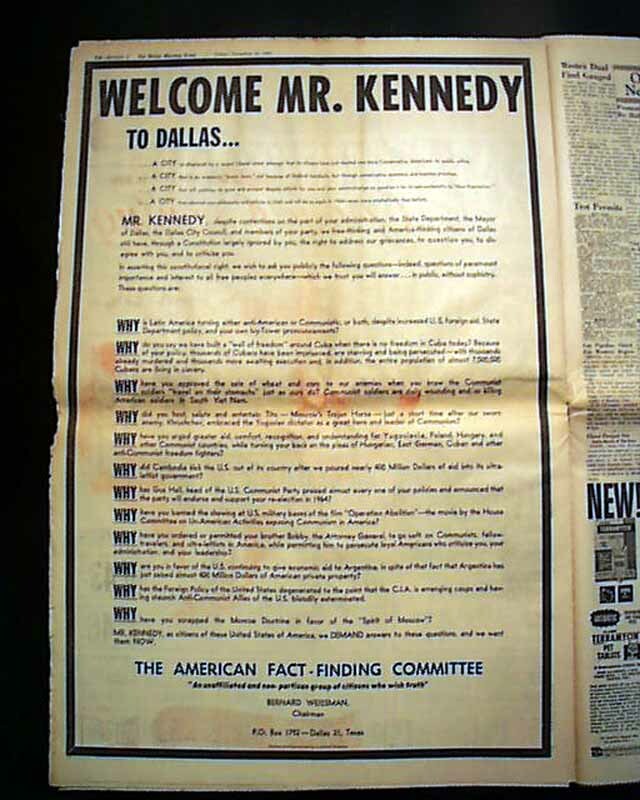 This issue also includes the controversial full page notice by the: "The American Fact-Finding Committee" which is very critical of President Kennedy (see photos). 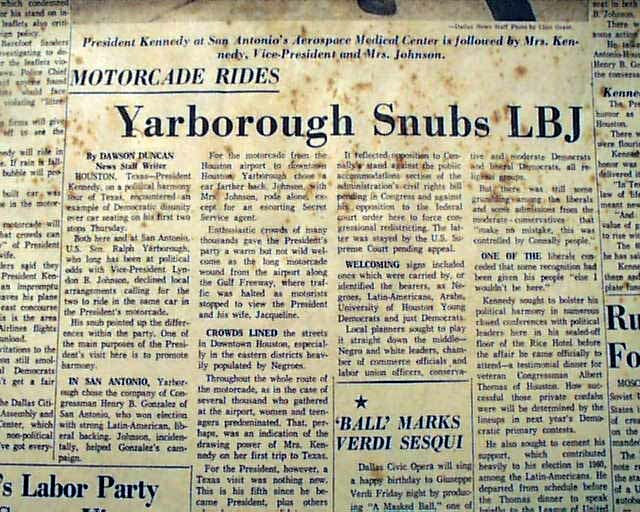 This has become a rather well-know--and much desired--report in a period newspaper. 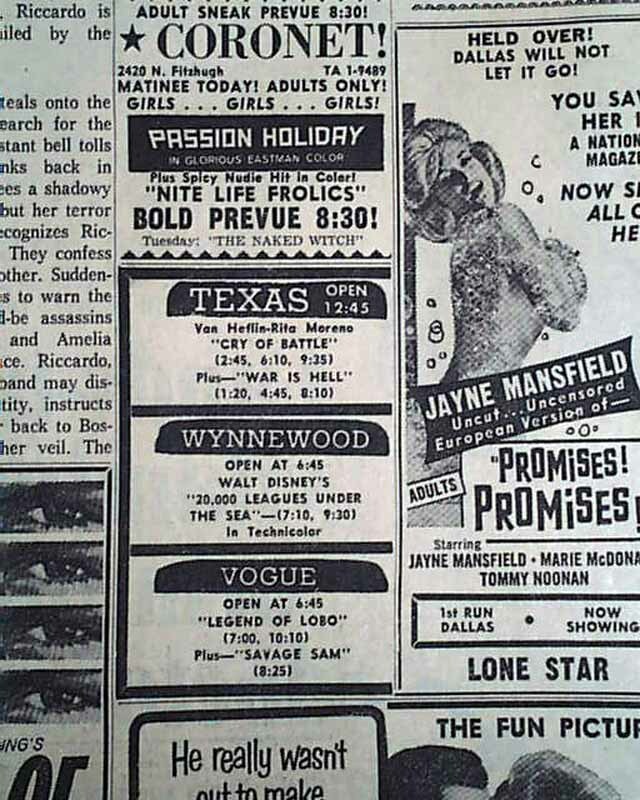 Also of curious interest--and only to be found in a Dallas newspaper--are two inconspicuous advertisements to be found on facing pages inside. 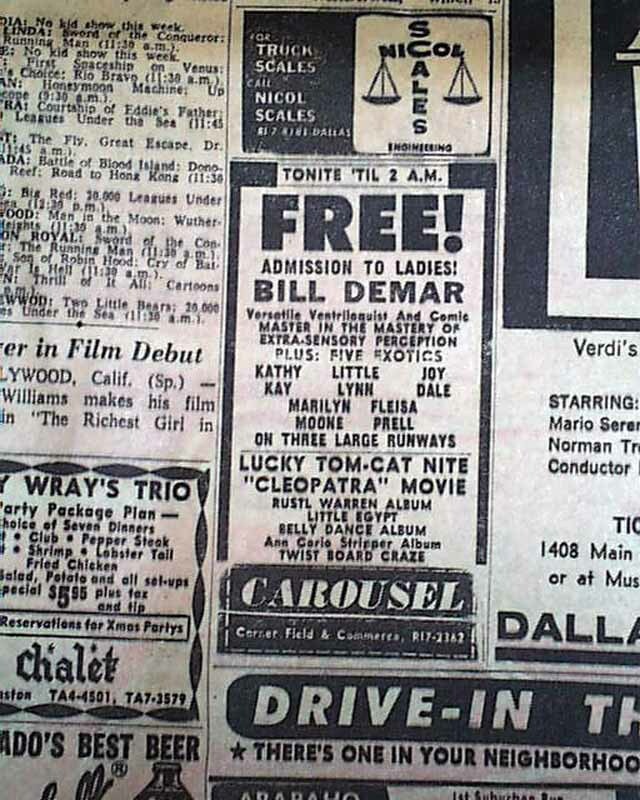 One is for the 'Texas" movie theater, where Lee Harvey Oswald was arrested (trivia: he was watching the movie "War Is Hell": see photo) and the facing page has an advertisement for the "Carousel", the night club owned & operated by Jack Ruby (see). A rare issue in that it contains all 4 sections & pages called for (more typically latter sections are missing). 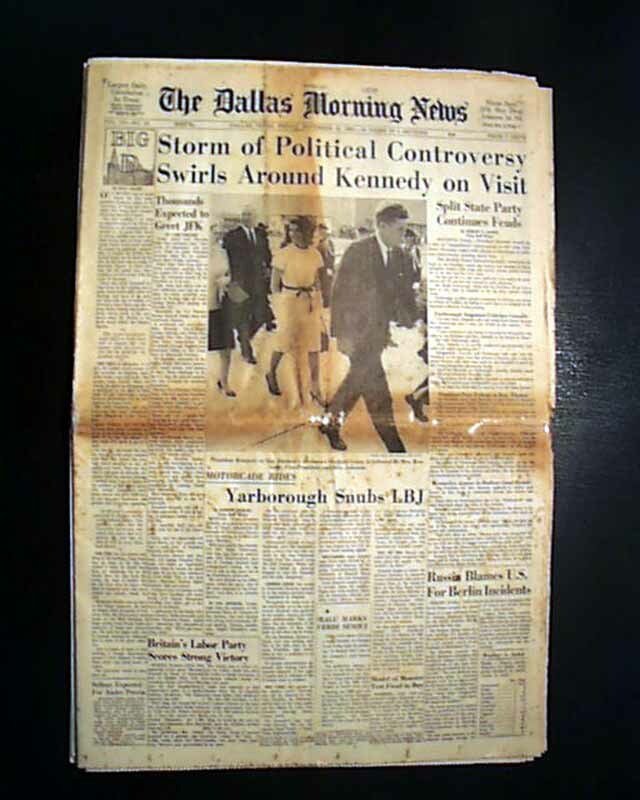 Browning at the horizontal & vertical folds of the front page with pg. 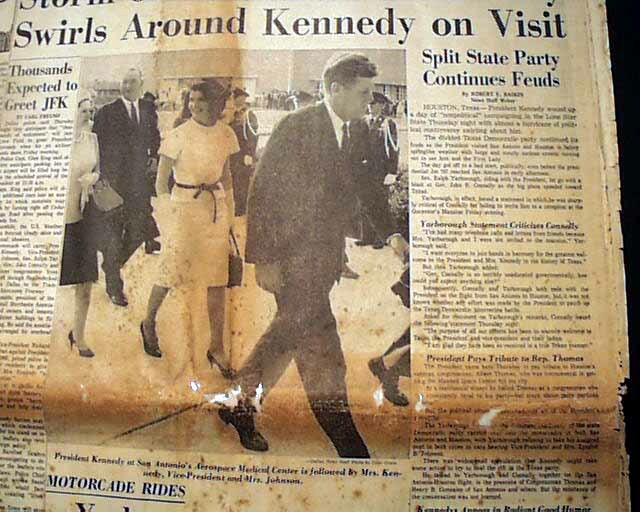 2 archival mends, with some pieces missing at the fold (see). Some wear at the edges, otherwise generally good. * "Dallas News Staff Photo by Clint Grant"